Martyn Hilbert's Railway Photography - Last additions - A60 5119 at Chesham. 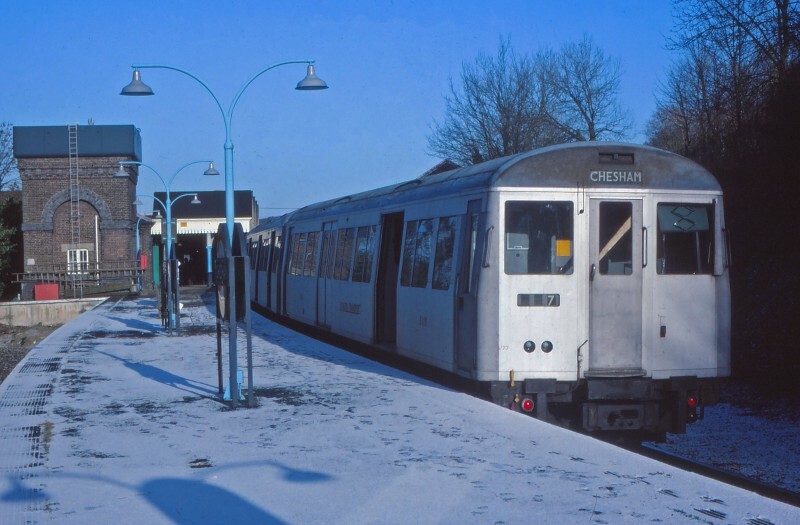 A wintry scene at Chesham on January 15th 1984. A 4-Car A60 set in original condition has just arrived at the branch terminus following a 3.89 mile run from the bay platform at Chalfont & Latimer on the Metropolitan Main line from Baker Street to Amersham. The nearest car is DM 5119. The station still retained its platform canopy, water tower and disused bay platform.